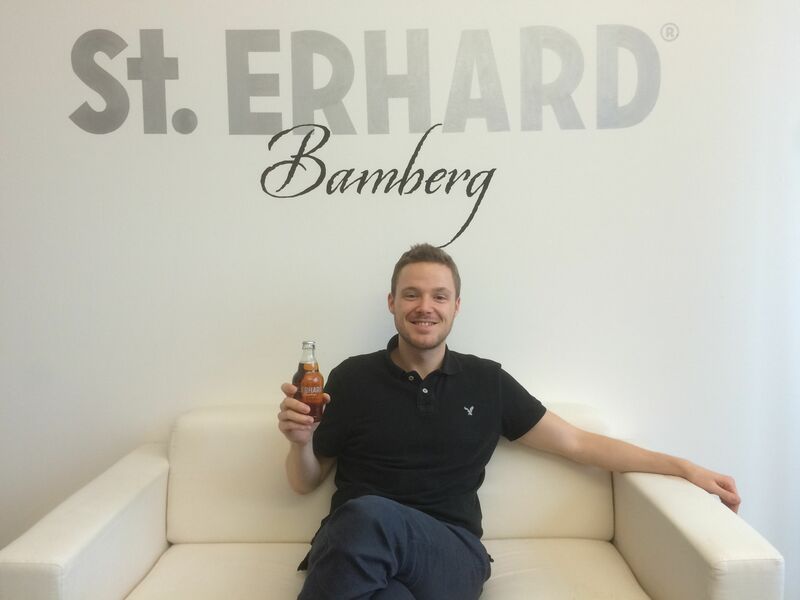 I am Justus Nagel and today is my first day at St.ERHARD GmbH as an intern. First of all I want to introduce myself: I was born in Bonn in North Rhine-Westphalia, a region with a special kind of beer (Kölsch). Later I moved to different cities (e.g. Berlin) and regions in Germany with other typical German beer traditions. So my life was always influenced and devoted to the different kinds of beer in Germany. But now I found my favorite: St. ERHARD. In 2010 I moved back to Bonn for my bachelor studies, which I just finished. Subsequently I will start my master studies at the Handelshochschule Leipzig (HHL) in March 2014. 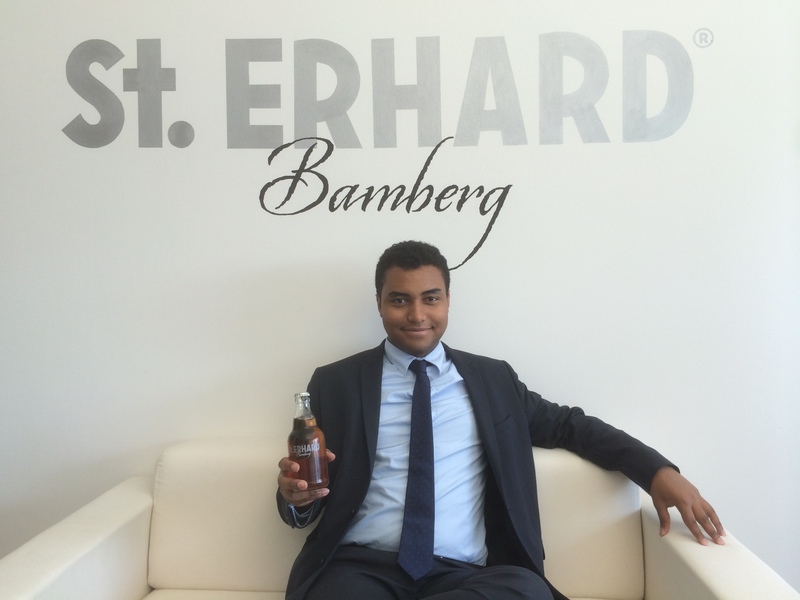 Until then, I support St. ERHARD in promoting the German premium beer culture in the world. 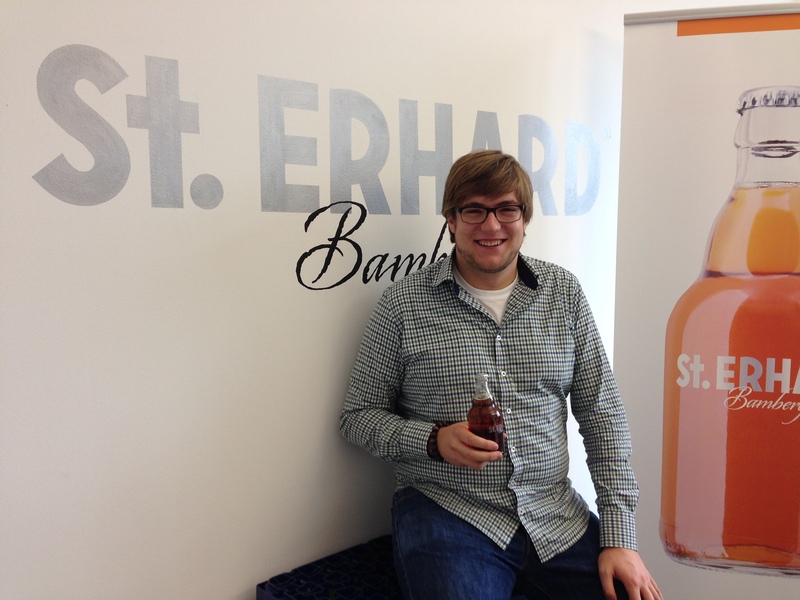 I got to know St. ERHARD as one of the most interesting and successful start-ups, which were founded by alumni of HHL. The idea to spread Franconian beer culture, as the most traditional beer culture in Germany, to the world fascinated me immediately after I heard from it. As I mentioned above, my lifestyle was always influenced by beer and so I feel destined for my internship at St. ERHARD. I think I will keep in contact with you through this blog or our facebook page. Feel free to contact me anytime through comments or an e-mail. I am looking forward to hearing from you. 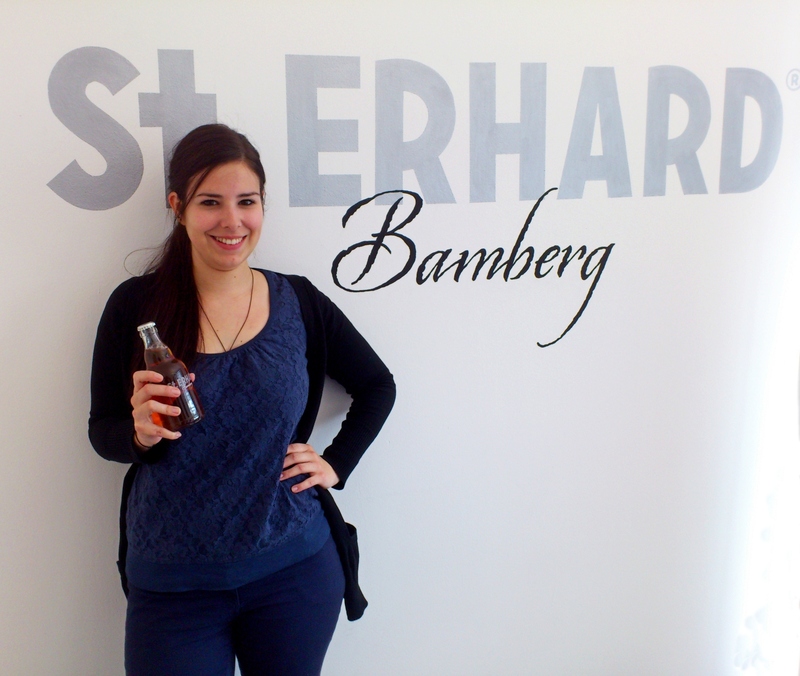 My name is Aline Bruckner and today, on my first day at St. ERHARD GmbH, I want to start with this blog post introducing myself. I was born in Bamberg and have been living here for most of my life. After finishing my bachelor’s degree in Furtwangen which is in the Black Forest. Last year I moved back to Bamberg to pursue my further studies. Due to my Franconian background, I grew up with this strong beer culture that Bamberg and its surroundings has to offer. I first got to try the taste of beer in my early childhood, as it is such a big part of our everday life here. When I got older I soon discovered to enjoy the occasional beer along with meals or just for rejuvenational purposes. Beer is not just an alcoholic beverage, but also a pivotal part of our society and lifestyle. 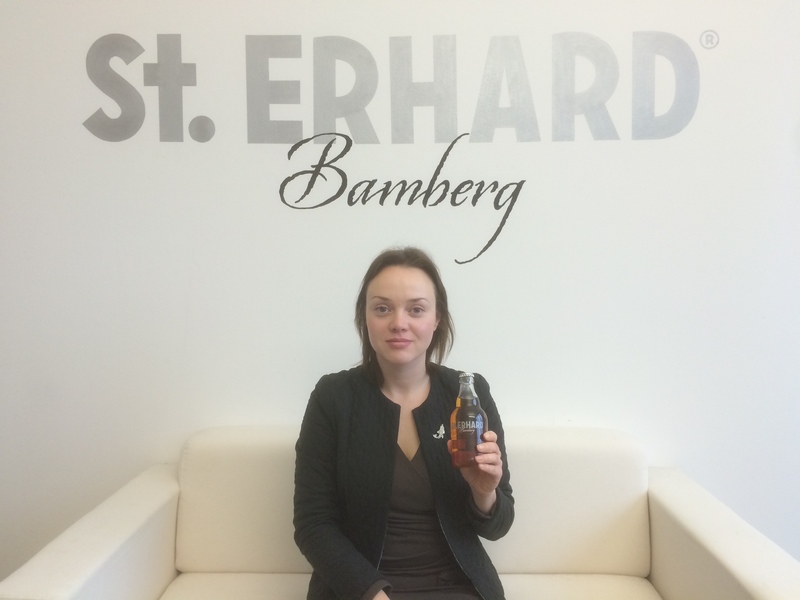 When I heard about St. ERHARD beer, it quickly caught my interest and I was able to connect with this brand and its mission to internationally spread Franconian beer culture. So as of today, I am starting my internship at St. ERHARD which I am really excited about. I hope to be able to transmit a German view concerning the beer culture and of course particularly about St. ERHARD beer. Therefore, I will keep being in contact with you through my blog posts in addition to Rahul’s posts which are already there on the blog. I will also be writing in German and will focus more on the local perspective with Rahul focusing on global aspects. So feel free to ask and comment below in case of further queries. I will be looking forward to hearing from you!